As a family-owned and operated restoration company based in Las Vegas, NV, Pro Restoration understands the value of building long-lasting relationships with a loyal customer base. Specializing in property restoration after damage from water and floods, fire, and smoke, Pro Restoration can handle the entire restoration process after disaster strikes. They are a preferred vendor for a number of local insurance agencies, are IICRC-certified, and hold an A+ rating with the Better Business Bureau. Due to this client’s geographic location, where the demand for emergency restoration services is low, they were being challenged by larger restoration franchise companies. They were also suffering from a weak web presence, despite having excellent service and outstanding reviews. They had been running paid ads with Google AdWords in-house, but the ads weren’t performing as well as they expected. They wanted to lower their CPA, while their main goal was to gain more qualified leads and maximize inbound calls. 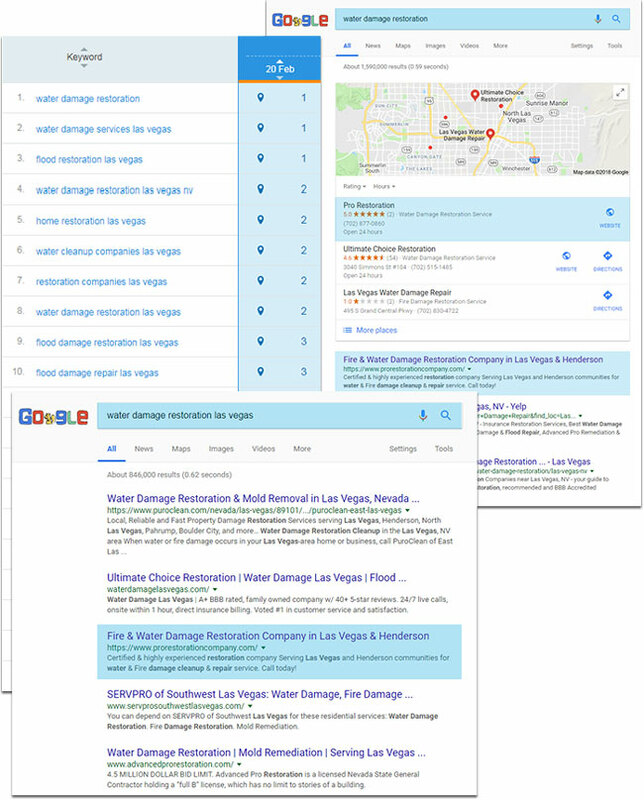 Our client knew they needed help in order to compete with larger restoration companies in Las Vegas, so they enlisted the help of Alecan Marketing Solutions. 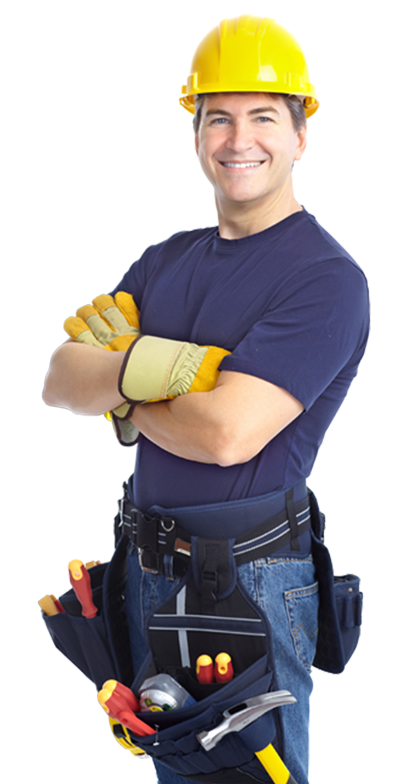 We looked at Pro Restoration’s situation and knew that they needed to start generating qualified leads, and that we were going to have to build a good presence for them online. Although they are family-owned and operated company, the goal was to reflect their expertise and stay away from any kind of “mom and pop” style branding. They needed to look established and professional, which is what they are, in order to compete with the franchises that surround them. As a company that offers 24/7 emergency services, they also needed a high-positioned search presence, compelling call-to-action messages, and clear contact information so that their potential customers could quickly find and reach them in the event of a disaster. 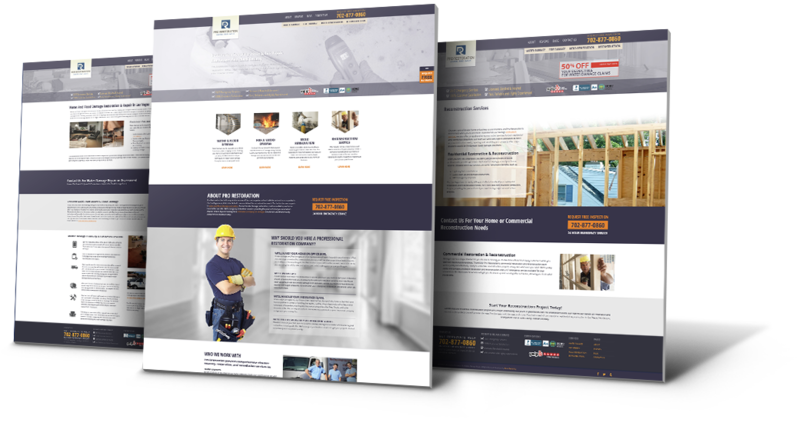 In order to meet our goals for Pro Restoration, we used a cross-channel approach consisting of website development, search engine optimization, content marketing, and conversion optimization. Redesigned a new website with proper structure that was compelling, functional, and clear in order to drive better conversion. Created a strong digital presence by populating business information on major industry directories and websites. Applied on-page and off-page SEO strategies to increase the authority of the website to rank higher in more competitive search terms to drive a higher lead volume. 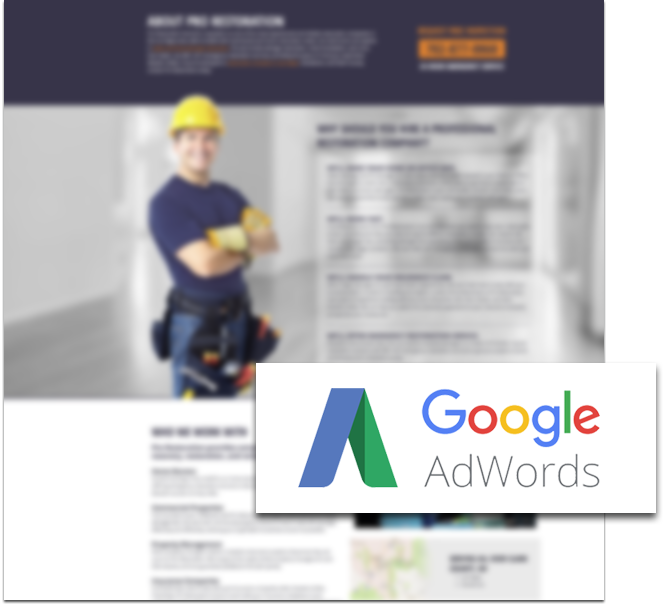 Took over the company’s existing Google AdWords to optimize for better conversion, lower cost per click (CPC), and lower cost per acquisition (CPA) in order to achieve the best ROI. 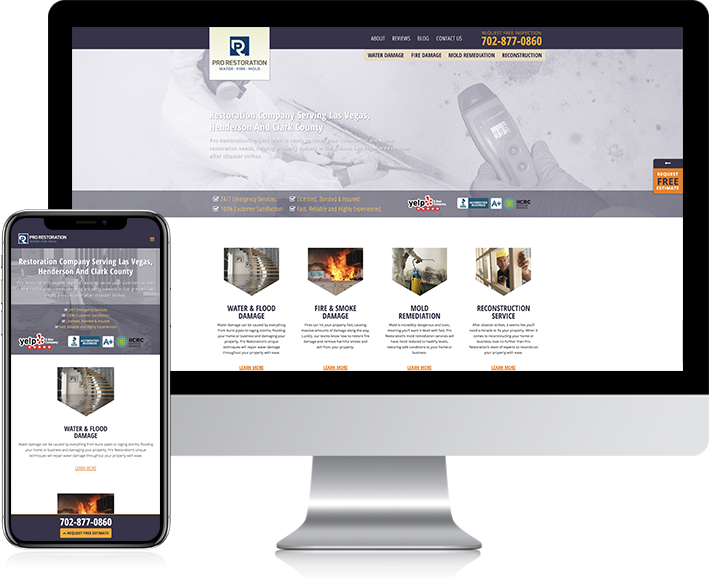 The creative team at Alecan restructured and redesigned a new mobile-comparable website for Pro Restoration. While their previous site’s conversion rates were low on desktop and mobile devices, we were able to overcome that challenge by increasing both mobile and desktop conversion rates significantly. We accomplished this by making the new website more compelling for both desktop and mobile users, keeping in mind that most emergency calls take place on mobile devices. In order to get the best results for search engine optimization, we restructured the client’s website design to emphasize more highly-targeted search keywords that were guaranteed to turn into leads. We also performed on- and off-site optimization by entirely rewriting their website content. We were able to achieve a strong presence for them throughout industry-related directories, and we also performed content outreach for them. In just a little over six months, our client began ranking on the first page of Google for major targeted keywords, and experienced a 129% increase in organic traffic. For 24-hour emergency services, which is this client’s industry, the key is to be heavily present when customers are panicking and looking for a company to come help them quickly. We had to consider this for Pro Restoration, and it was very important for us to create a “search, click, call” strategy for them. We focused on paid ads in order to make sure that Pro Restoration’s website is always visible, especially for emergency service-based keywords, which are highly competitive in their industry. We dedicated a landing page for their campaign, which converted much higher than the attempt they had made themselves. They had been managing their own campaign in-house, and our intention was to take this over and lower their cost per click. We focused on specific keywords that have a good conversation, but would cost the client less. We increased the quality score of their ads, lowered their cost per lead, and increased their conversion rate—which began generating more leads.